Jana Dempsey grew up in the fields and glens of the family homestead on the Eastern shore of Nova Scotia and the nooks and crannies of her mother Kathryn Thomas’ textile supply store – Fleece Artist, adjacent to the Nova Scotia College of Art and Design. After obtaining her BFA from the University of Victoria she worked in Vancouver and the UK before returning home to Canada to help with the family business. 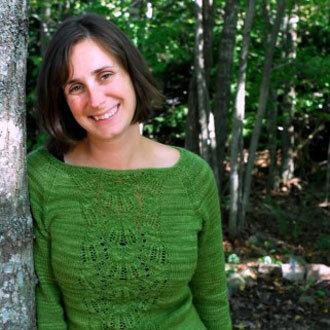 She started the Hand Maiden Fine Yarn label in 2005 and has been engrossed in the fibre business ever since. Jana takes great pleasure in the connection between the dyer and knitter and the deep satisfaction that hand craft brings. Her daughter Etta Mae, age 8, wants to be a dyer when she grows up, following in her mother and grandmother’s footsteps. 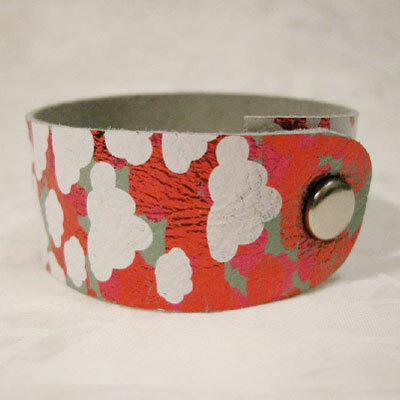 Ontario native, Chantal was born in 1986 and has always shown interest in the hand crafted. She studied fashion design at George Brown College in 2005 and furthered her studies at Sheridan Institute of advanced learning and technology. 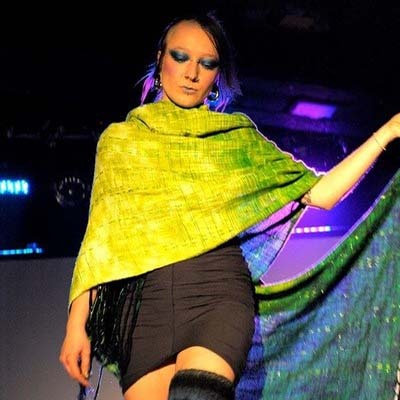 Upon graduating from the Textile Studio: Craft and Design program in 2008, Chantal moved to the east coast to complete her Bachelor of Fine Arts at the Nova Scotia College of Art and design. 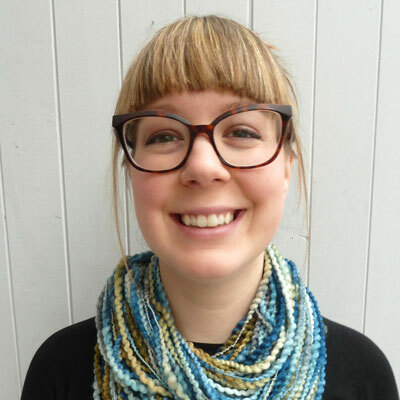 Once graduated in 2011 Chantal decided to permanently stay in Halifax and frequently participates in the Halifax Crafter’s fairs with her business DOAK TEXTILE. From the backwoods of Ontario Ruth emerged with a camera in one hand and knitting needles in the other. After earning a diploma in Photojournalism from Loyalist College, Ruth put the camera on the shelf and spun herself a wee business called Surly Knits that specialized in spinning wheels. 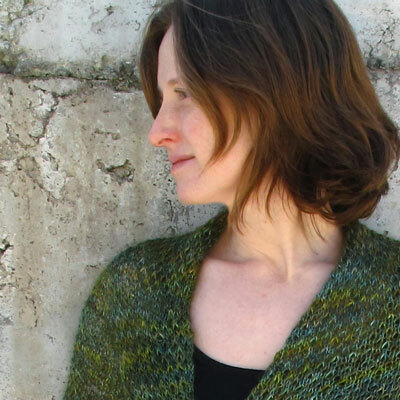 She Also taught spinning and knitting at her local yarn shop, Unwind in Newmarket Ontario. Upon moving to Nova Scotia, there was only one place Ruth wanted to work, Fleece Artist and Handmaiden. Ruth is now our Web Coordinator and in house photographer. She can be found on Ravelry under the name RuthGallo, for yarn support contact either FleeceArtistYarns, or HandmaidenYarns. Indigo Erin Durnan graduated from NSCAD University in 2015 with a Bachelor of Fine Arts, majoring in Textiles and Fashion and minoring in Art History. They are currently pursuing a Diploma of Costume Studies from Dalhousie University. Indigo’s work focuses primarily on wearables. Their interests lie in costume, both historical and fantastical, and in using traditional textile processes, such as weaving, dyeing, knitting, and felting to highlight the importance of hand-production in craft. They consider themself a craftsperson, and thought the industrial revolution had made this choice of profession obsolete until Fleece Artist and Handmaiden gave them a job and proved them wrong. Now they make a living making things by hand, and can’t believe their luck.